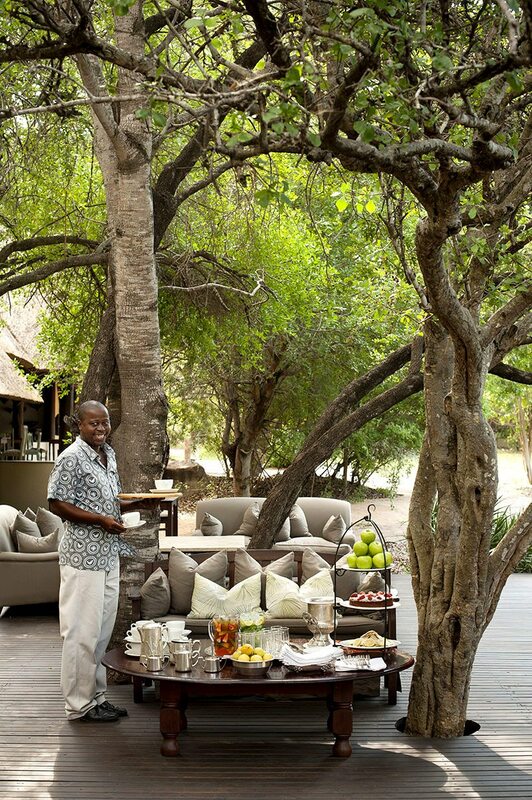 Whatever your holiday priorities, there can be few boxes that a luxury South Africa safari doesn’t tick. 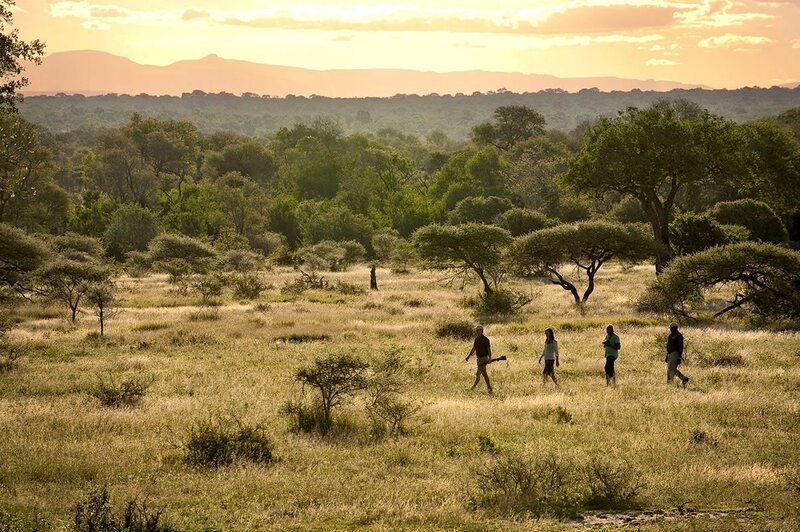 Reconnect with nature walking in the Waterberg, and thrill to the closeness of big-cat encounters in the Greater Kruger at Timbavati. Then treat your taste buds in Cape Town, washing down gourmet meals with outstanding wines. Stunning views and dramatic landscapes in the Waterberg contrasted with the mixed savannah and woodland of Timbavati/Greater Kruger and the rocky, wave-swept coastline around Cape Town. 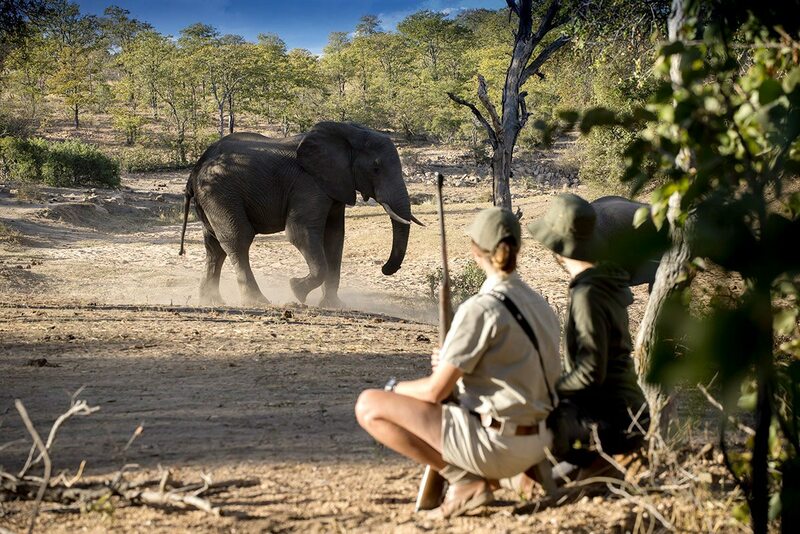 The opportunity to walk the Waterberg, see big cats up close, track animals on foot, tour the Cape Peninsula, sample the culinary delights of Cape Town and explore the Cape Winelands. 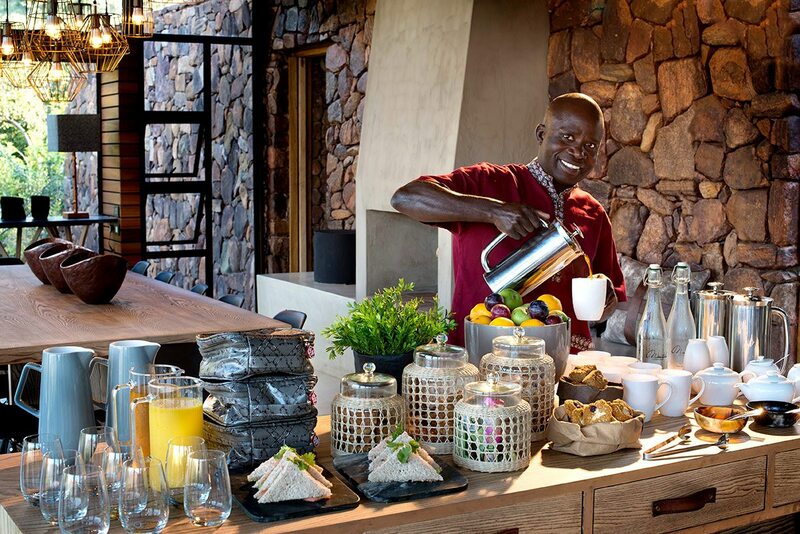 Varied luxury accommodation throughout, from clifftop eco-suites to air-conditioned tents and boutique hotel rooms. 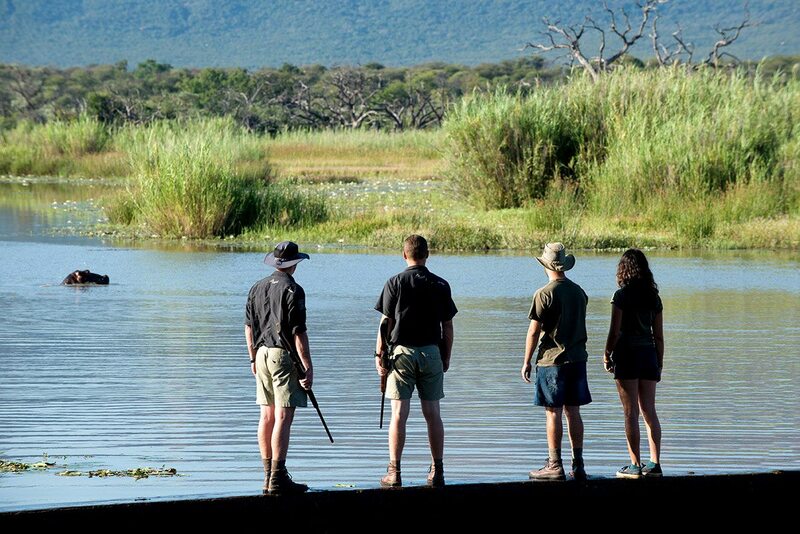 For more information see Marataba Mountain Lodge, Ngala Tented Camp and Tintswalo Atlantic. We’d included Marataba Mountain Lodge in our itinerary as we both felt we needed a digital detox, and what better way than by spending a few days walking in the Waterberg. From the moment we arrived at our luxury lodge – at the foot of the Kransberg Mountain in Marakele National Park – we felt that in the absence of Wi-Fi, new and more important connections were being made. Not least, of course, with each other. For our first afternoon, our guide Hennie took us on a short walk to see some San rock art close to the lodge, and enjoy the same views down into the Waterfall Valley as from our stone-and-glass eco-suite. On our second day, we were up with the larks for a longer hike, down into the sandstone gorges. Walking in Big Five country kept our senses alert, but rather than danger, they detected the warm smoothness of the rocks and the refreshingly cool rock pool water we slid into at our mid-morning brunch spot. Hennie gave us a lesson in tracking, and laughed as we tracked an elephant for a few metres – backwards! Despite a long hike, we felt the tiredness leaving our legs the minute we returned to the lodge. A delicious lunch followed by a siesta certainly helped! For our third afternoon (following a shorter walk through the sweet savannah grasslands in the morning), Hennie introduced us to Miss Mara, the lodge’s river boat. After a short game drive, we arrived at Python Dam on the Matlabas River, and embarked on a sunset cruise… The reflections of the dying sun turned the water a series of dusky pastel shades, and as we sipped our G&Ts (what else?) we did our best to count the disappearing and reappearing heads of hippo – a happily impossible task. Pied kingfishers hovered and plunged, and we breathed in the essence of these tranquil moments. By now, waking early had become a habit; on our final morning we sat in bed sipping fresh coffee and watching the sunrise, then enjoyed a leisurely al fresco breakfast before heading to the airstrip for our flight to the Timbavati. 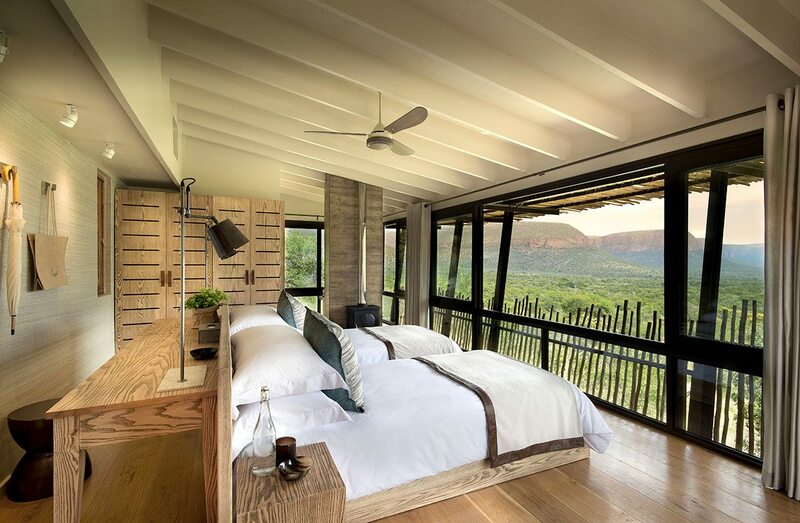 We’d included Marataba Mountain Lodge in our itinerary as we both felt we needed a digital detox, and what better way than by spending a few days walking in the Waterberg. From the moment we arrived at our luxury lodge – at the foot of the Kransberg Mountain in Marakele National Park – we felt that in the absence of Wi-Fi, new and more important connections were being made. Not least, of course, with each other. For our first afternoon, our guide Hennie took us on a short walk to see some San rock art close to the lodge, and enjoy the same views down into the Waterfall Valley as from our stone-and-glass eco-suite. On our second day, we were up with the larks for a longer hike, down into the sandstone gorges. 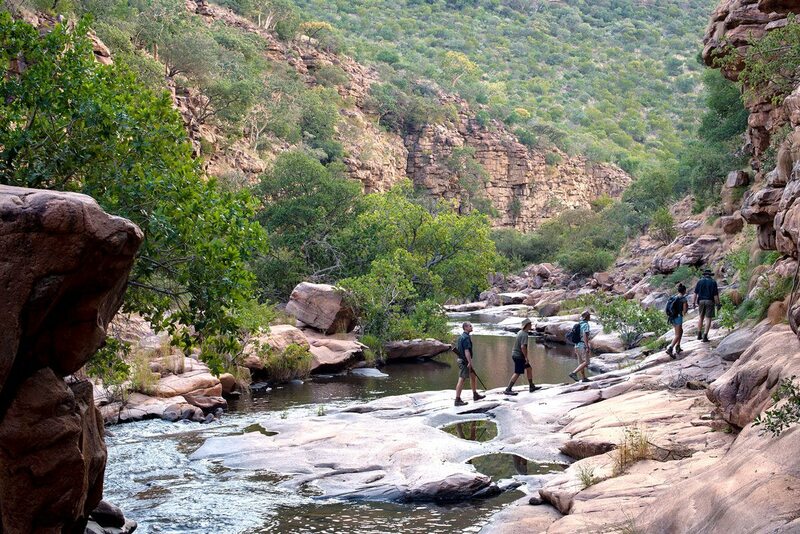 Walking in Big Five country kept our senses alert, but rather than danger, they detected the warm smoothness of the rocks and the refreshingly cool rock pool water we slid into at our mid-morning brunch spot. Hennie gave us a lesson in tracking, and laughed as we tracked an elephant for a few metres – backwards! Despite a long hike, we felt the tiredness leaving our legs the minute we returned to the lodge. A delicious lunch followed by a siesta certainly helped! For our third afternoon (following a shorter walk through the sweet savannah grasslands in the morning), Hennie introduced us to Miss Mara, the lodge’s river boat. After a short game drive, we arrived at Python Dam on the Matlabas River, and embarked on a sunset cruise… The reflections of the dying sun turned the water a series of dusky pastel shades, and as we sipped our G&Ts (what else?) we did our best to count the disappearing and reappearing heads of hippo – a happily impossible task. Pied kingfishers hovered and plunged, and we breathed in the essence of these tranquil moments. By now, waking early had become a habit; on our final morning we sat in bed sipping fresh coffee and watching the sunrise, then enjoyed a leisurely al fresco breakfast before heading to the airstrip for our flight to the Timbavati. The moment our plane touched down we were efficiently whisked into the wilds of the Greater Kruger. We were here on a mission to see wildlife, and more specifically, we were hoping to see big cats up close, for which this area is famous. 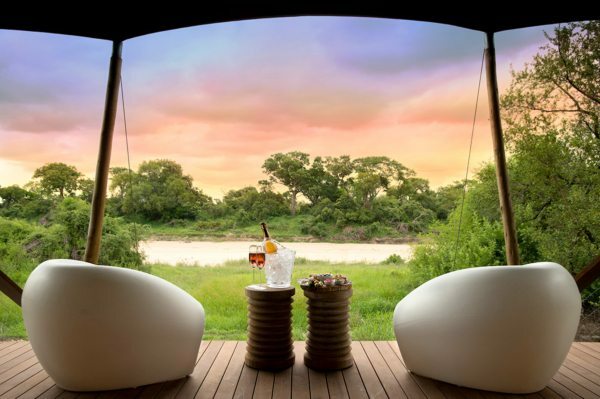 Ngala Tented Camp would be the perfect launchpad – on the banks of the Timbavati River, it looked exactly like we’d imagined the perfect safari camp to be. Our guide Grant, with his tracker Dennis, gave us a very feline first game drive – encouraging us to see the world as a lion or leopard might for a very different perspective.From his perch on the front of the 4×4 vehicle, Dennis followed the spoor of a lioness with young cubs. Grant explained that she was moving them from one hidden den site to another, possibly after being discovered by hyena. Dennis’ ability to read the ground was astonishing – he showed us where one small cub had lagged behind (just like a tired, petulant child) and where the lioness had carried it. Eventually he found tracks suggesting that she had found a new den site, but we left the family in peace, and returned to camp.On our third day, we decided to try tracking animals on foot. It was a thrilling experience – even more so because we saw a pair of cheetah in the process of tracking our rhino. However, our final sighting of the day, by the light of a flickering fire as we enjoyed a romantic riverbed dinner, was easily the most memorable. As we toasted a great day, Grant approached our table, and silently pointed. 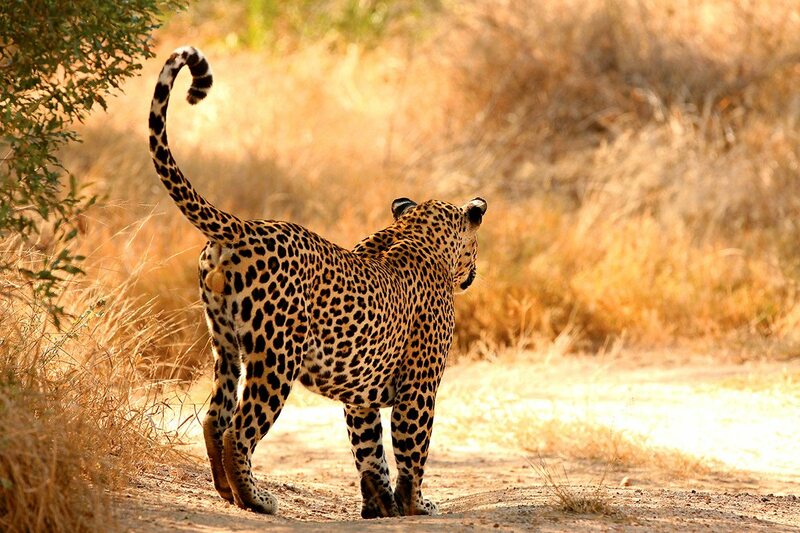 Seemingly mesmerised by the flames, a female leopard stalked across the sand, her coat glowing red and yellow. Then she suddenly turned on her heels, and quickly headed off, as though she had remembered that as the star of the show, she must act like a diva! Before our flight to Cape Town, we had time for one last game drive. Spending our final moments in the bush in the company of a magnificent male lion (almost certainly the father of the cubs) was quite a send-off. The moment our plane touched down we were efficiently whisked into the wilds of the Greater Kruger. We were here on a mission to see wildlife, and more specifically, we were hoping to see big cats up close, for which this area is famous. 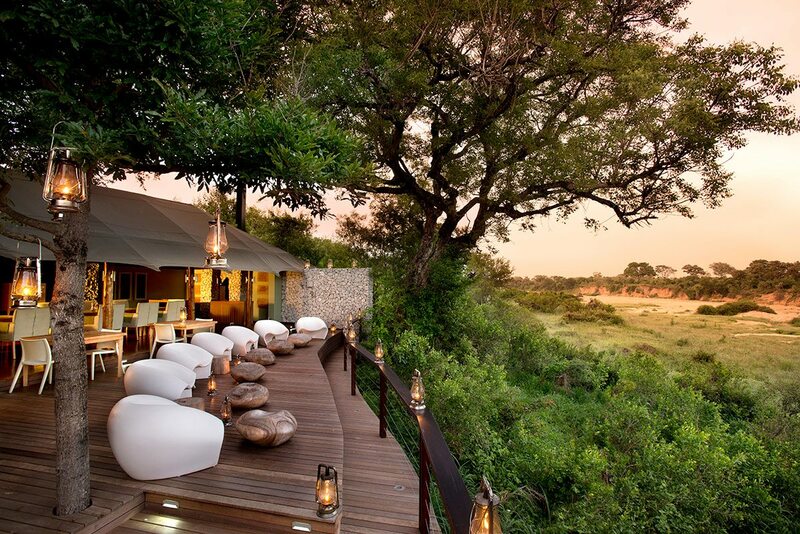 Ngala Tented Camp would be the perfect launchpad – on the banks of the Timbavati River, it looked exactly like we’d imagined the perfect safari camp to be. Our guide Grant, with his tracker Dennis, gave us a very feline first game drive – encouraging us to see the world as a lion or leopard might for a very different perspective. 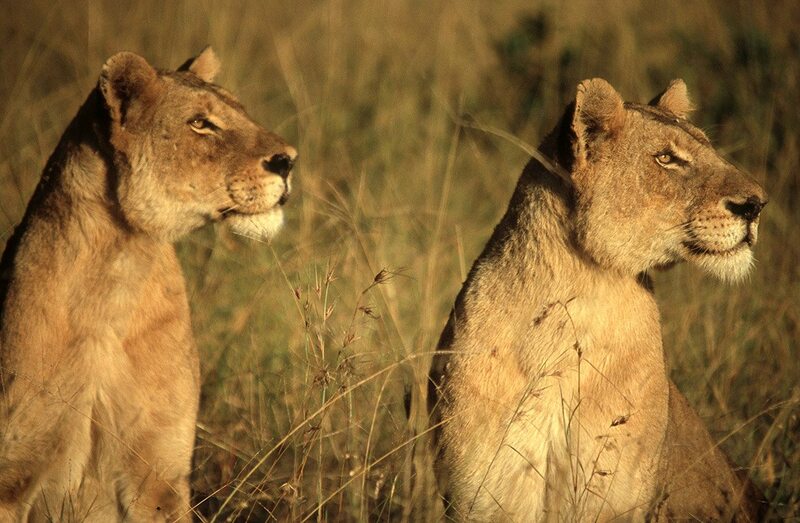 From his perch on the front of the 4×4 vehicle, Dennis followed the spoor of a lioness with young cubs. Grant explained that she was moving them from one hidden den site to another, possibly after being discovered by hyena. Dennis’ ability to read the ground was astonishing – he showed us where one small cub had lagged behind (just like a tired, petulant child) and where the lioness had carried it. Eventually he found tracks suggesting that she had found a new den site, but we left the family in peace, and returned to camp. On our third day, we decided to try tracking animals on foot. 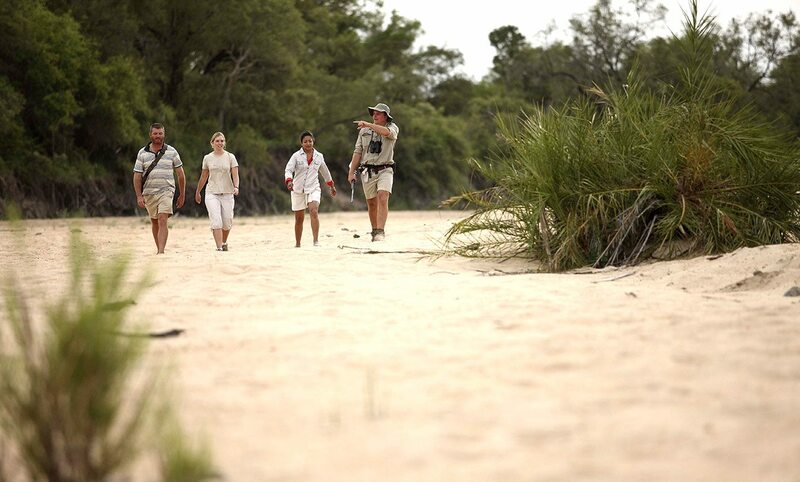 It was a thrilling experience – even more so because we saw a pair of cheetah in the process of tracking our rhino. However, our final sighting of the day, by the light of a flickering fire as we enjoyed a romantic riverbed dinner, was easily the most memorable. As we toasted a great day, Grant approached our table, and silently pointed. Seemingly mesmerised by the flames, a female leopard stalked across the sand, her coat glowing red and yellow. Then she suddenly turned on her heels, and quickly headed off, as though she had remembered that as the star of the show, she must act like a diva! Before our flight to Cape Town, we had time for one last game drive. Spending our final moments in the bush in the company of a magnificent male lion (almost certainly the father of the cubs) was quite a send-off. One of my favourite childhood memories is of falling asleep to the sound of waves. At Tintswalo Atlantic, I got to do that while enjoying a very sophisticated version of a seaside holiday. 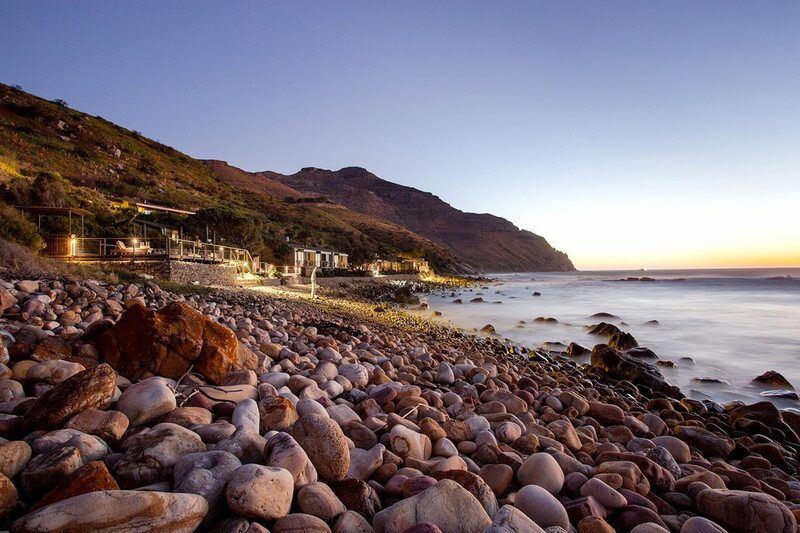 The views across the pebbled beach and Atlantic breakers to Hout Bay, and Sentinel Peak beyond, persuaded us to while away our first afternoon between the heated pool and the artfully made beach hammocks. Our day ended with a sensational seafood platter and a glass or two of wine on our private wooden deck, with the salty smell of the sea competing with the bouquet of the South African Sauvignon Blanc. Being so close to the southwestern tip of the continent, we resolved on a private tour of the Cape Peninsula on our second day. As our driver expertly negotiated the swooping curves of Chapman’s Peak Drive, we felt as though we were in one of the luxury car adverts filmed here. The theme of divine food in spectacular settings continued with a picnic lunch in a secluded corner of Cape of Good Hope Nature Reserve, with views over the endless ocean and the twin lighthouses. On the return journey, we dropped in on the Boulders Beach penguin colony and were kept amused by their antics. Cape Town is justly renowned as heaven for foodies, so we were keen to experience the culinary delights of the city. Happily it’s also a very walkable city, so we were able to burn off some of what we ate during the day! Beginning with coffee and croissants in the steampunk setting of Truth Coffee on Buitenkant Street, we followed our noses (and the advice of our guide) on an epicurean odyssey that ended at one of the world’s best restaurants (and one that we’d had to book way in advance of our luxury South African safari): The Test Kitchen in Woodstock. No visit to Cape Town would be complete without a tour of the Cape Winelands. Rolling green valleys, lines of vines skirting the hillsides and beautiful old Cape Dutch-style wineries made for a wonderful day out. Naturally we had a driver, meaning we could properly enjoy some of the many amazing wines this region produces. Right on cue, a brief shower followed by sunshine revealed just why this area is so well known for its wines. In deference to the warmth of the day, we focused on whites, but couldn’t resist ending with bubbles… a toast to our luxury South African safari. One of my favourite childhood memories is of falling asleep to the sound of waves. At Tintswalo Atlantic, I got to do that while enjoying a very sophisticated version of a seaside holiday. 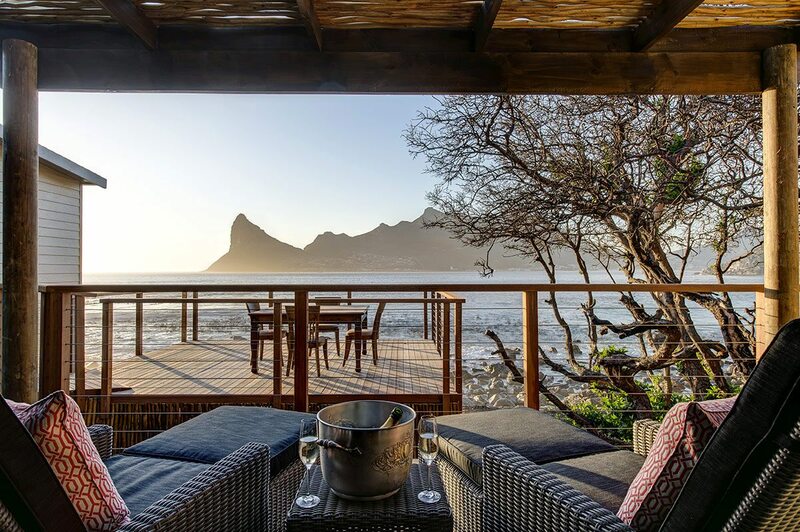 The views across the pebbled beach and Atlantic breakers to Hout Bay, and Sentinel Peak beyond, persuaded us to while away our first afternoon between the heated pool and the artfully made beach hammocks. 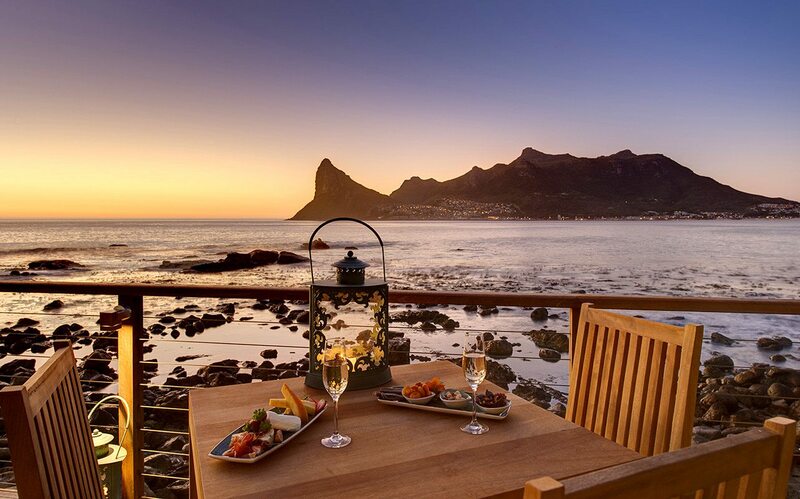 Our day ended with a sensational seafood platter and a glass or two of wine on our private wooden deck, with the salty smell of the sea competing with the bouquet of the South African Sauvignon Blanc. Being so close to the southwestern tip of the continent, we resolved on a private tour of the Cape Peninsula on our second day. As our driver expertly negotiated the swooping curves of Chapman’s Peak Drive, we felt as though we were in one of the luxury car adverts filmed here. The theme of divine food in spectacular settings continued with a picnic lunch in a secluded corner of Cape of Good Hope Nature Reserve, with views over the endless ocean and the twin lighthouses. On the return journey, we dropped in on the Boulders Beach penguin colony and were kept amused by their antics. Cape Town is justly renowned as heaven for foodies, so we were keen to experience the culinary delights of the city. Happily it’s also a very walkable city, so we were able to burn off some of what we ate during the day! Beginning with coffee and croissants in the steampunk setting of Truth Coffee on Buitenkant Street, we followed our noses (and the advice of our guide) on an epicurean odyssey that ended at one of the world’s best restaurants (and one that we’d had to book way in advance of our luxury South African safari): The Test Kitchen in Woodstock. No visit to Cape Town would be complete without a tour of the Cape Winelands. Rolling green valleys, lines of vines skirting the hillsides and beautiful old Cape Dutch-style wineries made for a wonderful day out. Naturally we had a driver, meaning we could properly enjoy some of the many amazing wines this region produces. Right on cue, a brief shower followed by sunshine revealed just why this area is so well known for its wines. In deference to the warmth of the day, we focused on whites, but couldn’t resist ending with bubbles… a toast to our luxury South African safari. Our luxury South Africa safari will linger long in our memories for the sheer variety – and sometimes, the intensity – of the experiences we shared. Travelling across the ‘rainbow nation’, we were struck by the diversity of landscapes, wildlife and flavours we encountered.At each stage in our itinerary we felt that we were not merely observers or tourists, but participants in something greater than each of us. Perhaps it was the firm grasp of a guide’s hand in mine, helping me across a rocky stream, or the imperturbable gaze of a male lion, secure in his territory. Or the delight on the face of a Franschhoek sommelier as she found us the perfect wine to accompany our cheese platter.These were all moments of invitation; moments when we felt a deeper connection with this ancient land, its proud yet welcoming people and the life that burst forth from it in striking and delightful ways. Voluntarily freed from digital distractions, we learned to use our senses all over again, to appreciate the hues of a sunrise over the mountains, the ability of a leopard to hide in plain sight, or the delicate fizz of an MCC sparkling wine on our tongues. By setting foot on the wild earth of South Africa, following its tracks and signs, tasting the best of its produce and reaching out to the people we met who had knowledge to share, we feel we truly connected with South Africa. Our luxury South Africa safari will linger long in our memories for the sheer variety – and sometimes, the intensity – of the experiences we shared. Travelling across the ‘rainbow nation’, we were struck by the diversity of landscapes, wildlife and flavours we encountered. At each stage in our itinerary we felt that we were not merely observers or tourists, but participants in something greater than each of us. Perhaps it was the firm grasp of a guide’s hand in mine, helping me across a rocky stream, or the imperturbable gaze of a male lion, secure in his territory. Or the delight on the face of a Franschhoek sommelier as she found us the perfect wine to accompany our cheese platter. These were all moments of invitation; moments when we felt a deeper connection with this ancient land, its proud yet welcoming people and the life that burst forth from it in striking and delightful ways. Voluntarily freed from digital distractions, we learned to use our senses all over again, to appreciate the hues of a sunrise over the mountains, the ability of a leopard to hide in plain sight, or the delicate fizz of an MCC sparkling wine on our tongues. By setting foot on the wild earth of South Africa, following its tracks and signs, tasting the best of its produce and reaching out to the people we met who had knowledge to share, we feel we truly connected with South Africa. You’ll be met as you disembark from your international flight at OR Tambo International Airport in Johannesburg, and assisted through customs and immigration. 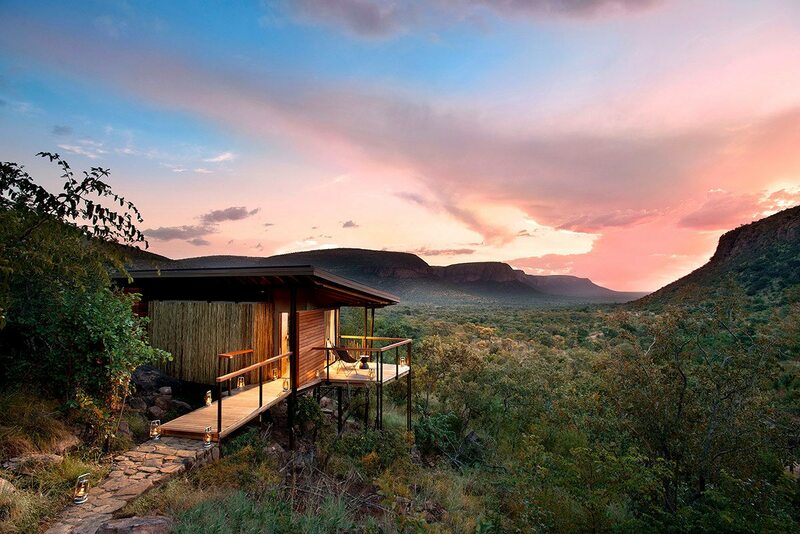 A transfer will then take you to Marataba Mountain Lodge in the Waterberg, where you’ll spend three nights. After a transfer from Marataba Mountain Lodge to the airstrip, you’ll take a scheduled light-aircraft flight to Timbavati. 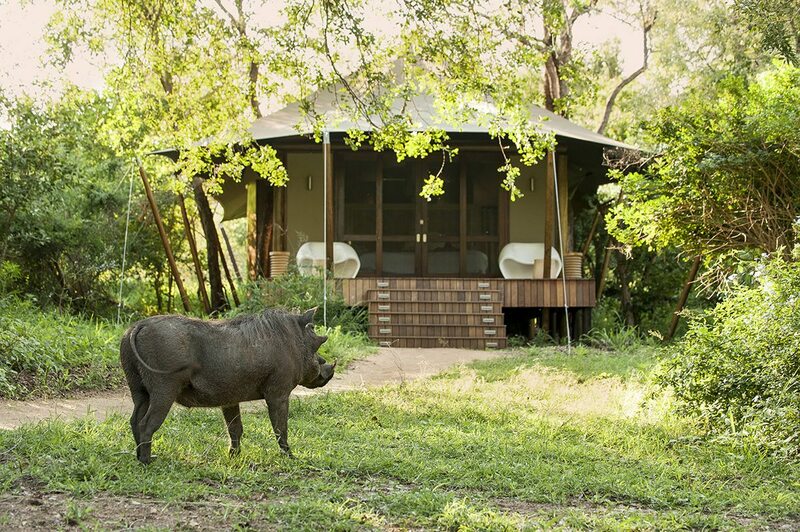 You’ll then take a transfer to Ngala Tented Camp, where you’ll spend three nights. 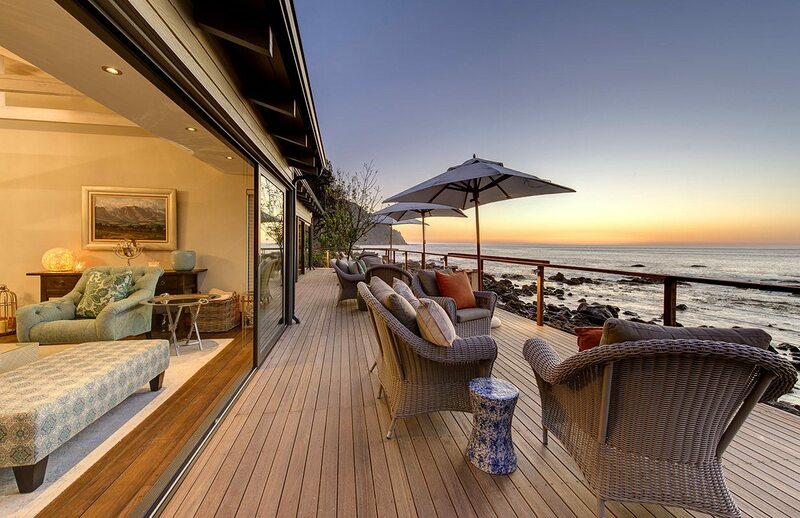 After a transfer from Ngala Tented Camp to the airstrip, you’ll take a scheduled light-aircraft flight to Skukuza, and a connecting flight to Cape Town. 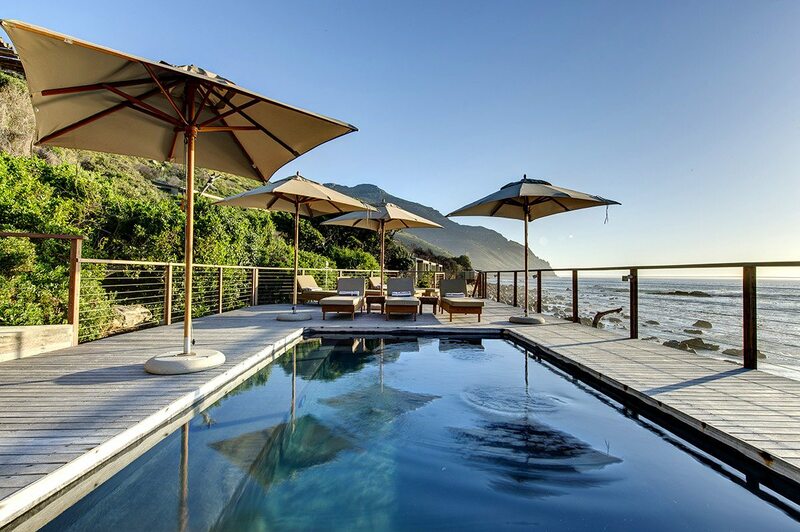 You’ll then take a transfer to Tintswalo Atlantic in Hout Bay, where you’ll spend four nights. 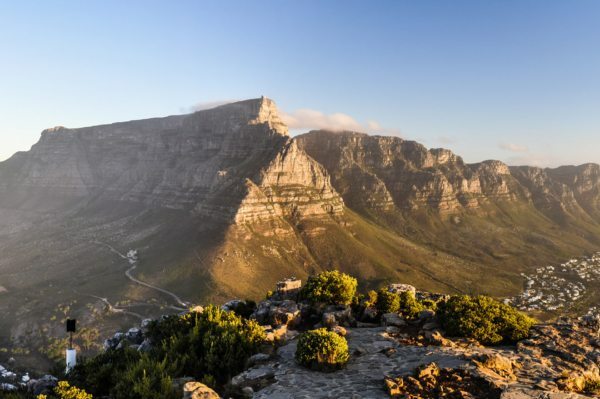 A private transfer will take you from Tintswalo Atlantic to Cape Town International Airport, where you’ll take a scheduled flight to OR Tambo International Airport in Johannesburg and connect with your ongoing international flight. 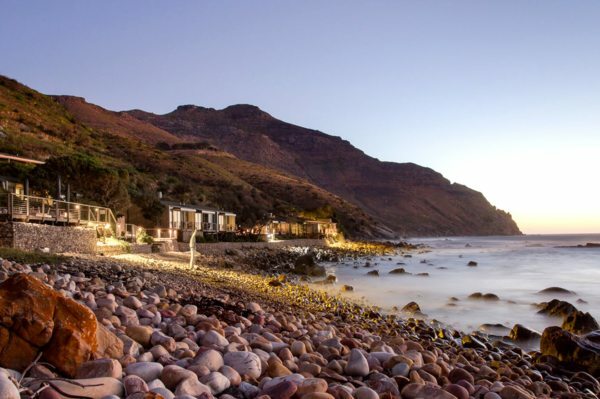 Lying within Table Mountain National Park, on the foothills of Chapman’s Peak, Tintswalo Atlantic offers an intimate beachfront escape. 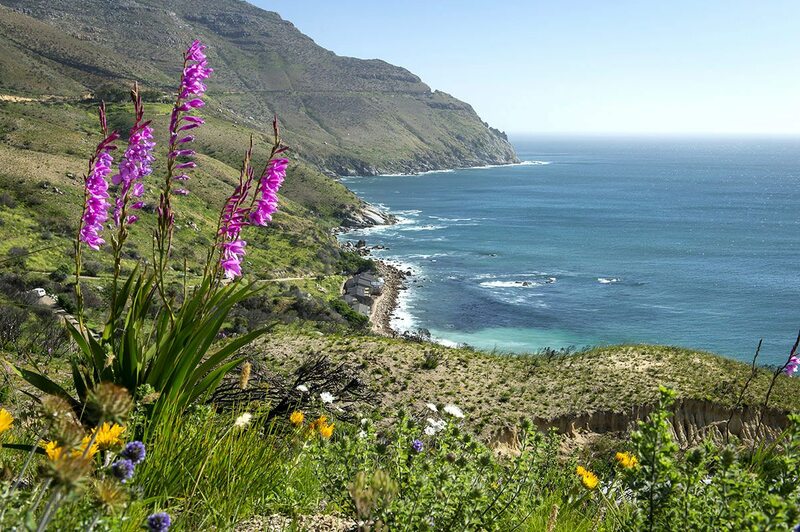 Enjoy watersports, nature walks and hikes, pool and seaside lazing, or venture out to explore Cape Town city.